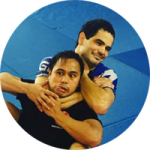 All classes at Gracie Barra North Orlando are taught by experienced Brazilian Jiu-Jitsu Black Belts, under the supervision of World Champion Head Instructor, Gustavo “Gutty” Muggiati. Each instructor is dedicated to helping students progress and reach their individual potential. 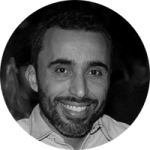 Gustavo “Gutty” Muggiati is a 4th degree black belt from Rio de Janeiro, Brazil. 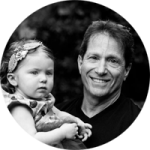 Having 25 years of experience has earned him a reputation as a highly skilled and knowledgeable instructor. His journey began in 1992 under professors Leao Teixeira, Helio Soneca, and Robert Correa at Gavea Jiu-Jitsu. 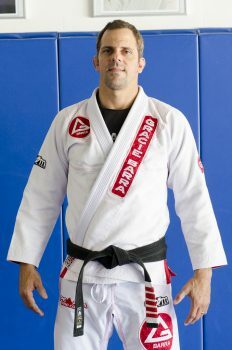 Shortly after, his mentor Soneca, had established himself as a champion/instructor and therefore encouraged Gutty to further his training at Gracie Barra under Carlos Gracie Jr. After several years of dedication, he was awarded his black belt in 1998 by Carlos Gracie Jr., Leao Teixeira, and Helio Soneca. As a competitor, Gutty excelled at the highest international levels winning multiple state, national and world titles. 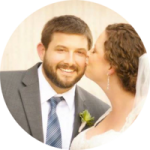 Although he achieved success on a personal level, his passion for teaching had grown. 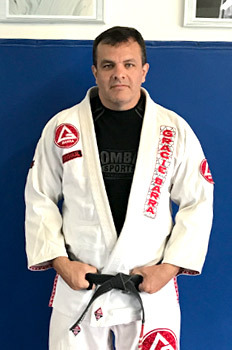 An opportunity arrived to become head instructor in the Southern region of Brazil so Gutty moved to Curitiba in 1997 to promote the growth of Gracie Barra jiu-jitsu. During his years there, he coached several students that went on to earn various championship titles. Curitiba at the time, was home to one of the best MMA teams in the world. Gutty was invited to coach the ground game of top fighters such as Wanderley Silva, Mauricio “Shogun” Rua, Jose “Pele” Landy among others. 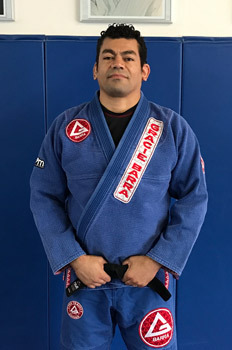 Starting his own family in 2004 led him to the United States where he continues to educate students on proper technique and principles of jiu-jitsu. 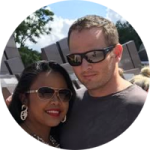 He takes pride in making sure his students truly understand what is being taught and helping them recognize their strengths in a welcoming and fun environment. Professor Gutty winning his division at the IBJJF Masters World Championships. Professor Gutty winning his division at the IBJJF South American Championships. Mike Busby is a 3rd degree black belt from Florida. After training in kickboxing and other martial arts, he was introduced to Brazilian Jiujitsu watching the first UFCs. 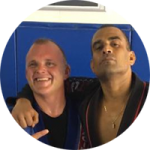 In 1999, Professor Busby started training at the first jiujitsu academy in Central Florida and was instructed by Master Marcio Simas. He has trained and competed internationally. He was promoted to black belt in 2005 by Master Simas. Professor Busby takes pride in helping students train for competition and maximizing their mental and physical capabilities on the mats. 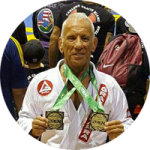 Mike is honored to be a part of the Gracie Barra team and continue his training under Professor Muggiati and Master Simas. In March of 2000, Fabian took his first Brazilian Jiu-jitsu class. From the moment he stepped on the mat he knew he would spend the rest of his life training in the gentle art. 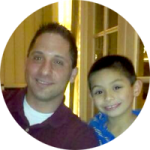 He began competing in tournaments regularly and used the experience to improve his understanding and application of the techniques he learned in class. In May of 2010, exactly ten years after he started on his path in jiu-jitsu, Fabian was awarded the rank of black belt by Master Marcio Simas. Seeing this as the beginning, not the end of his journey, he always seeks to keep learning and improving. Fabian can often be found on the mats after class, answering students’ questions and helping them with their techniques. 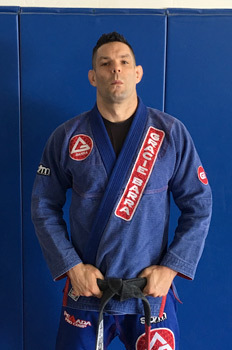 Lawrence Siegel first walked into Gracie Barra North Orlando with only a willingness to learn. 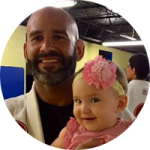 This everyday student became a friend, a teammate, a recruiter, and ultimately one of our black belt professors here at Gracie Barra North Orlando. 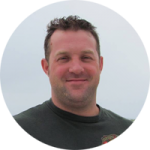 He currently leads our fundamentals program and assists with handling day to day operations at the academy. Lawrence subscribes to the concept of the team being a family. You will find him the first one in and the last one out of the doors – twice a day. He will remember your name after only hearing it once and he will be your biggest supporter if you try your best. Lawrence is always there to help anyone both on and off mats. Come and meet one of your guides on this new journey, a disciplined mentor who will walk beside you, not in front.